Finding property in Edinburgh can be difficult but have you ever considered investing in a flat? There are some truly exceptional flats around Edinburgh that offer exceptional standards of living too. With period features throughout and plenty of space and charm, here are five stunning flats for sale around Edinburgh. An extremely spacious B Listed flat that retains many fine period features throughout and offers flexible living accommodation in a central location within walking distance of Princes Street. The accommodation comprises entrance vestibule that leads to a large dining hall, twin windowed lounge with original marble fireplace and natural wood flooring, breakfasting kitchen that includes the 5 ring gas range and other appliances, large double bedroom with marble fireplace, 2 further bedrooms and a bathroom that is fitted with a three piece suite with electric shower. The property is double glazed and has gas central heating. Communal garden to the rear. Communal cellar providing storage. Resident permit parking. 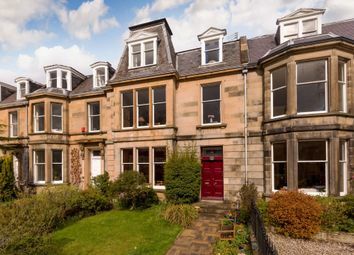 48 (3f1) Bruntsfield Gardens lies in a historic conservation area and forming part of a handsome traditional tenement, the flat is accessed via a secure entry system and a communal stairwell. The front door opens into a spacious hall with two storage cupboards. Leading off the hall is a magnificent living room, extended by a charming newly fitted double glazed sash and case bay window with panelling surrounds. At the opposite end of the hall is a bright and spacious dining kitchen. At the focal point of the kitchen is an original Range cooker, adding a decorative piece and a touch of period charm to the space. Fitted with wall and base units designed to incorporate a selection of freestanding and under counter appliances, the room provides ample space for a large table and chairs. A conveniently separate area with a traditional clothes pulley would be perfect for use as a laundry area, and also provides generous space for a fridge freezer. There is also a deep storage cupboard. The flat accommodates three double bedrooms, all with recessed windows, cornicing and comfortable carpeting; bedroom one features a striking fireplace. A versatile box room could lend itself to a variety of uses, such as a guest bedroom or a home office. Completing the accommodation is an immaculate tiled three-piece bathroom. 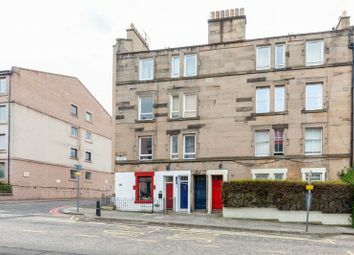 A unique opportunity to purchase a double upper flat located in the heart of the bustling Bruntsfield area of the city. The flat retains original period features and also affords superb views to the Castle. The accommodation comprises entrance hallway with hardwood flooring and a storage cupboard, bay windowed lounge with fabulous views and an open fire, spacious dining kitchen which has a wide range of floor and wall mounted storage units with Silestone worktops, 1 double and 1 single bedroom plus a family bathroom fitted with a three piece suite and shower over the bath. 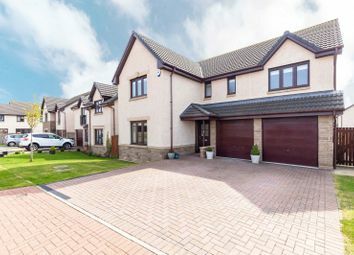 On the upper floor there are a further 2 bedrooms one with great views and a bathroom fitted with a three piece suite and shower over the bath. There is gas central heating and partial double glazing. Communal garden to the rear. Forming part of a handsome Edwardian tenement, 110/4 East Claremont Street enjoys generous, tall-ceilinged rooms and authentic period features offset by attractive modern interiors. Accessed via a communal stairwell (with secure entry), the front door opens into a welcoming hall with built-in storage and a traditional clothes pulley. The impressive open-plan living and dining room features a bay window, antique wood flooring, ornamental cornicing, an Edinburgh Press and a cast-iron fireplace. Next door, the modern kitchen is fitted with timber-style cabinetry and spacious worktops, along with integrated appliances. Benefiting from a tranquil rear-facing position, with city views via large stripped timber-framed windows, the flat’s two spacious double bedrooms include a carpeted master bedroom with a feature fireplace, useful built-in storage and a contemporary, fully-tiled en-suite shower room. The second bedroom also includes incorporated storage and preserves the original features of richly-varnished pine flooring and classic cornicing. Completing the accommodation is a three piece bathroom, with a shower over a roll top bath. 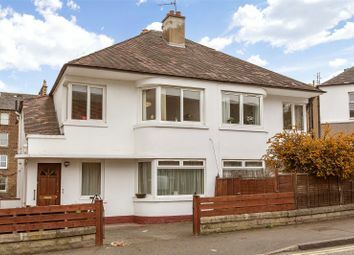 The property is heated via an efficient gas central heating system. Externally, there is a shared garden; controlled on-street parking in the area falls under Zone N1. Set within a classic Victorian tenement and presented in excellent move-in condition, 12/6 Millar Crescent offers fresh minimalist decor and well-preserved authentic features, as well as a shared garden and controlled on-street parking.